Florence, or Firenze, is the capital of Tuscany, and one of the most beautiful cities in Italy. The ancient city significantly expanded during the Renaissance, and is home to some of the best art galleries and museums in the world, with artworks by Michelangelo, Donatello and Leonardo da Vinci making up some of its strongest attractions. Particularly recommended is the Uffizi Gallery and the Pitti Palace, as well as the Palazzo Vecchio. Florence can be walked around with ease, while the hills around the city are also worth a visit for their views. Other notable locations within the city include the Museum of Science, Santa Mario del Fiore, and the San Marco Convent. This Park falls within the region between Collesalvetti and Rosignano Marittimo. The beauty of the Park comes through its wooded hills, Mediterranean bushlands, pine groves and inland oaks and ashes. The Etruscan landscape is similarly defined by its remote locations and landmarks, which include the Sambuca Hermitage retreat, and the Valle Benedetta settlement. The area is also worth visiting for its small artist colonies, and for its mountain biking, horse riding and climbing within the area’s rich landscape. Wine lovers cannot afford to miss the Chianti Region of Tuscany, which covers a broad area comprising of parts of Florence, Siena, Gaoile, Castellina, and Radda. 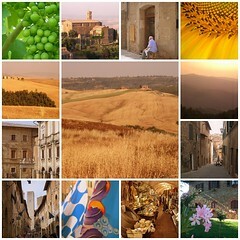 The region is predominantly made up of vineyards, with key vintages ranging from Burnello di Montalcino through to Vino Nobile di Montepulciano. The Florentine hills are also known for their excellent wine growing reputation, and visitors can take advantage of grove tours and wine tasting classes and tours. Pisa is more than just the Leaning Tower, although it shouldn’t be missed if you are visiting the city. Pisa is also distinguished by its ancient architecture and thriving University, with notable sights including the Piazza dei Miracoli, the Campo Santo Monumentale, the Museo delle Sinope, and the Church of San Rococo. The Palazzo Carovana is also worth visiting, as are the city’s botanical gardens, spas, and the shopping centre around the Leaning Tower. Siena, sometimes referred to as Sienna, is recommended for its beautiful Etruscan ruins, and for its Romanesque-Gothic architecture, which includes the Siena Cathedral. Other notable sites include the San Martino Church, as well as the city’s bi-annual Palio horse racing. The latter tradition stretches back to Siena’s medieval past. Siena is accessible within about an hour from Florence, and is particularly ideal for a day trip, especially if you want to see some of the most distinctive Byzantine art and Etruscan architecture in the region. Patrick Hegarty is a wine connoisseur, who loves to travel. He comments on the best places to visit and the wines to taste while there. He recommends using Telegraph wine for getting the wine of your choice, if you can’t travel.